Employers are, with some justification, getting more and more nervous about dealing with employee grievances, given the multi-million dollars awards being given by the Industrial Court when they are messed up due to company mismanagement or just plain ignorance of good Industrial Relations practices. One of the sensitive areas before getting to a dismissal stage in the disciplinary process is giving constructive feedback and in a straightforward way letting employees know how their performance is just not good enough so they can improve it. This can work with personal relationships as well as industrial ones, avoiding break-ups and dismissals. First: Describe specific behaviour – Effective feedback describes observable actions, rather than assigning meaning to activities. It is descriptive, not judgmental. 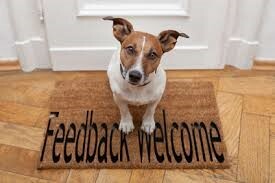 Second: Express feelings – Good feedback tells someone how you feel about what they did. It is okay to say you are mad, frustrated, confused, or upset so long as you direct your feelings toward the behaviour, not the person. Third: Acknowledge they may have acted without malice or even without realizing that it would upset anyone. Fourth: Request the specific change you want – Good feedback is proactive in asking for alternative behaviour, rather than just focusing on the negative. State what you would like the person to do instead. Fifth: Consider everyone’ s needs – Give effective feedback with the needs and feelings of the team or the family mentioned. Sixth: Time it well – Choose the time and situation for the feedback. Try to do it as soon as possible after the incident. However whatever else you do, don’t do it in the heat of the moment unless you can maintain your composure. “Don’t eat the potato while it is hot” as my sainted grandmother used to say. And remember to always praise in public and point out problems in private. “I really like your sense of humor, and I’d like your jokes a lot more if they were upbeat.” (Effectively consider everyone’s needs).